Got a few mouths to feed? Niffer's can help! Now offering party platters and boxed lunches to meet your more casual needs! 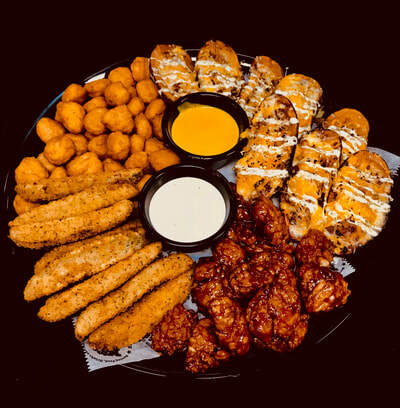 Nothing says Party like Niffer's wings! 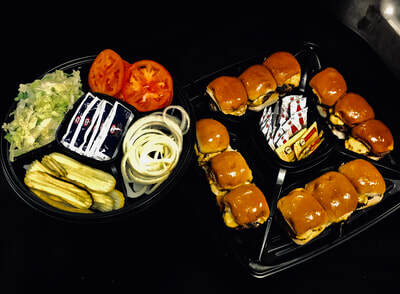 12 of our 1/4 pound Cheddar Burger Sliders served with the slider fixings! Assorted turkey, ham and roast beef pinwheels made with thinly sliced deli meat, assorted cheeses and homemade spreads. Bite sized chicken poppers breaded and deep fried to a golden brown. Served with signature honey mustard dressing and homemade ranch. Tea available for $5.00 a gallon and includes cups and ice. ***For assured delivery, please call a day in advance for larger orders. Don't see what you are looking for? These are just a few of the guests' favorites! Contact our catering manager to learn of other options (including breakfast options!). 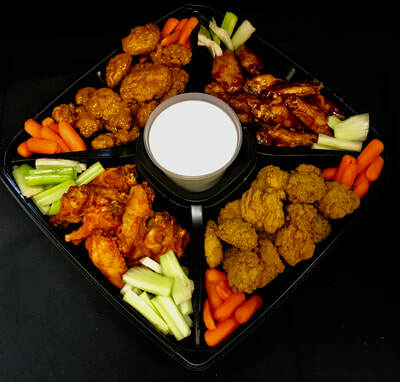 Or, visit our catering menu for more formal spreads! 334-703-5152. ​We also offer pick up and drop off catering for those with a strict budget! Please give advanced notice for delivery options.